The 3 Techniques to create ketosis and make you lean,we’re going to look at a few ways you can employ the ketogenic diet to help you lose weight. It’s important to note that most people will find that they’ll have to go through a period where the body tries to adapt to the diet. Most of us get a major chunk of our calories from carbs and protein. With the keto diet, most of your calories will come from fat. Because of this, you may experience carb withdrawal symptoms such as mood swings, nausea, drowsiness, lethargy, etc. In industry terms, this is known as the ‘keto flu’ and is par for the course because your body is adapting. Stick with the keto diet and in 2 weeks, you’ll be just fine. One of the best techniques to seeing fat loss will be to eat natural high-fat foods for 1 week. No carbs, no sugar. The key is to eat mindfully. You must be attuned to your body. Eat only when you’re hungry and stop when you aren’t. For this fat fasting protocol to work, you MUST be very strict. The smallest deviation will thwart your attempts to reach ketosis. This is an extreme method that requires total adherence and dedication. Even a small sip of soda can undo the entire process. It’s that sensitive. The rewards for all this effort are fantastic. You’ll be able to see 8 to 10 pounds of weight loss in a week. While a lot of it will be water weight, you’ll lose fat too. From here on, you can get started on the keto diet, because your body would have adapted. Even if you’re not on the ketogenic diet, fasting can still help you reach a state of ketosis. That’s why intermittent fasting is so potent. It gets the body to produce ketones too. Fasting for 16 hours a day will create a state of ketosis that will help your body to burn fat for fuel instead of carbs. If you can fast for 20 to 24 hours, that will be even better. When you’re first starting off, you may wish to start with a 10 hour fast and slowly work your way up. Another way to reach ketosis will be to consume 5 or 6 small meals spread throughout the day. This is like ‘grazing’… and it’s different from gorging on 3 large meals. The 5 or 6 small meals you have will contain no more than 200 calories each. Ideally, you should be getting most of your calories from natural fats and a very small amount from protein. It’s best to avoid carbs totally. The beauty of the ketogenic diet or achieving a state of ketosis is the fact that it focuses on fat loss and not weight loss. Losing weight is not the goal. You can lose weight and still be skinny fat. Always remember that your goal should be to reduce your bodyfat percentage and not just the numbers on the scale. Do note that if you wish to lose weight, exercise is still important to boost your metabolic rate and burn more calories. You’ll also need to be at a caloric deficit. It’s tricky to be on a ketogenic diet because 1 gram of fat contains 9 calories. So, it’ll be easy to overconsume calories if you’re not careful. Pay close attention to your caloric consumption. You should have a daily deficit of about 500 calories, and most of your calories should come from fat. If you can balance both these objectives, your body will enter a state of ketosis and the fat will melt off faster than you ever thought possible. 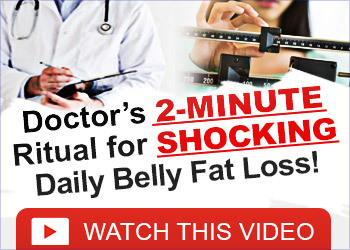 Are You Serious About Losing Weight Fast?